Do not remember your folio number ? Due to some technical issues you will face intermittent access to the website. Investors can download our mobile app “SBIMF invesTap” on android or iOS devices to perform all financial transactions and get statements during this period. Inconvenience caused is regretted. We have recently updated our registration process, we request you to provide your PAN as a onetime requirement. Please read this information carefully. Access to this web site is confirmation that you understand and agree to be bound by all of these terms and conditions. This service is available for Purchase Transactions, Fresh Registration of SIP and NFO (if any) subscription only. The web site (www.sbimf.com) contains features or services that we offer/propose to offer in due course. This material is for your private information only and is not intended as an offer or solicitation to buy or sell securities. While considering this information as reliable we take no liability or responsibility for individual investment decision based thereon. This web site is intended to be used only by Resident Indians, Non Resident Indians, Persons of Indian Origin, Foreign Institutional Investors registered with Securities and Exchange Board of India or any other Indian Regulatory Authority. It should not be regarded as solicitation of business in any jurisdiction including India. 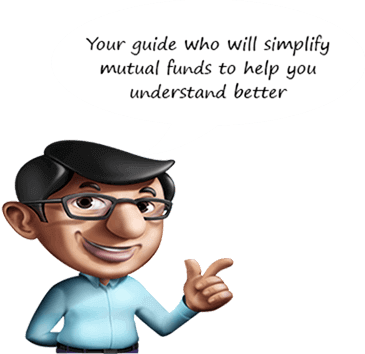 This web site is limited to information on mutual funds. Information on this web site may be updated at any time without prior notice. Information other than those relating specifically to SBI Mutual Fund, and its products is for information purposes only and should not be relied upon as a basis for investment decision. The information contained here in has been prepared to assist interested parties in making their own evaluation and does not purport to contain all of the information that an interested party may desire. SBI Mutual Fund does not give any guarantee or representation or warranty of any kind, whether actual or implied to the visitors/investors. The information and services included in or available on this site may include inaccuracies or typographical errors. SBI Mutual Fund does not accept any responsibility for any error or omission or inaccuracy or mistake of any nature or any consequences of the use of the material/information displayed on the site. Each visitor/customer should make an independent evaluation or assessment of the transaction and should consult his/her its own professional advisor. The information provided by this web site may include certain statements, estimates and projections with respect to the anticipated future performance of any mutual fund. Such statements, estimates or projections reflect various assumptions concerning anticipated results and are subject to significant business, economic and competitive uncertainties and contingencies, may of which is beyond the control of SBI Mutual Fund. Accordingly, there can be no assurance that such statements, estimates or projections may be realised. The forecast and actual results may vary, and those variations may be material. SBI Mutual Fund cannot be held responsible for any information contained in the web site linked from this web site. Use of this service is at your own risk. The data and information provided in the web site is not professional advice and should not be relied upon as such. Neither the opinion or any information obtained from this web site constitutes a solicitation or offer by SBI Mutual Fund to buy or sell its securities, financial product or instrument or to participate in any particular trading strategy. SBI Mutual Fund makes no warranties of any kind regarding the dependability, accuracy, security, timeliness or availability of the web site, or its products/services mentioned herein. The distribution of the Scheme Information Document/ Offer Document in certain jurisdictions may be restricted or totally prohibited to registration requirements and accordingly, persons who come into possession of the Scheme Information Document / Offer Document are required to inform themselves about and to observe any such restrictions and or legal compliance requirements. Investors are also advised to refer to the risk factors associated with mutual fund before subscribing to the units and read the Scheme information Document carefully and consult their Financial Advisor before taking decisions of investment. This site may experience technical outages for reasons beyond our control. In such an event,SBIFMPL will endeavor to restore the functionality at the earliest and are not liable for the resultant outages. Investors are requested to bear with us.